Some have suggested, including in The Diplomat, that China could pressure Iran over its nuclear program and so help prevent a military strike by Israel. The Global Times, for its part, caused quite a stir with a recent article on this very issue. According to the writers, there’s increasing concern among policy makers in Beijing over the potential consequences of Israeli air strikes on Iran’s nuclear facilities, including the likelihood that there would be a spike in crude oil prices if the region were engulfed in conflict. As such, the article suggests, China can be expected to exert diplomatic pressure to prevent such a scenario unfolding. However, the people I’ve spoken with who are familiar with the issue say that as much as China wants to avoid a war, there’s very little it can actually do. For a start, China doesn’t have nearly as much influence over Israel and Iran as some people suggest. The country with the greatest influence over Iran is actually Russia, which has also helped Iran build the Bushehr nuclear plant. And, of course, the country with the greatest influence over Israel is the United States. 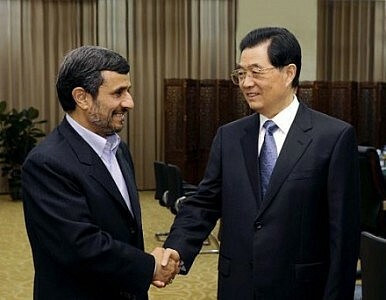 Second, the relationship between China and Iranisn’t particularly harmonious. The gradual scaling back in Iran of the largest privately owned communications company in China, Huawei, has caused some consternation in Tehran, while Chinese state energy trader Zhuhai Zhenrong has reportedly had sanctions slapped on it by the U.S. for engaging in the import and export trade in Iran. Meanwhile, Chinese Premier Wen Jiabao’s January visit to the Middle East excluded Iran, despite including other Gulf Cooperation Council countries for discussions on cooperation in the oil business. The slashing of imports is tied to the fact that China has actually already been making contingency plans for a possible Israeli attack on Iran. The media here have, for example, been discussing the issue of China’s strategic petroleum reserves, and Chinese officials have also publicly said that they are willing to increaseoil imports from Africa and Central Asia. Fourth, there are anyway signs that the Iranian nuclear issue might still be able to be resolved through dialogue. Tehran said earlier this month that it would like to reengage in talks with the so-called Six Parties, and on March 14, Iran's top nuclear negotiator wroteto the European Unionasking for a resumption of dialogue. According to Russian media last week, talks are set to resume next month. Although China is technically one of the six countries involved – along with Britain, France, Germany, Russia and the United States –Beijing’s role has been relatively minor. Indeed, it has been very clear that Iran prefers to communicate with the United States via the EU. The reality is that in Iraq, Afghanistan and Libya, although China didn’t publicly support military action, it was willing to abandon the regimes being toppled in favor of their respective successor. If wardoes break out with Iran, expect China to repeat its well-worn policy.